Every few years the business world experiences a new tide of change. Some areas experience more change than others and recently the logistics and supply chain industry is in the midst of a massive transformation. The future of your company lies in how you adapt to this change and how well you can anticipate and embrace the various trends in the supply chain and logistics department. While some trends are already in play, others are just around the corner. Here is a quick overview of some of the trends to prepare for, and if possible… jump on now. First and foremost, with today’s rapidly evolving technology and tech-savvy consumers, businesses must be open to innovation and change, and embrace it… or face extinction. At the same time, supply chains must be agile so they are able to respond efficiently and promptly to any kind of change, from shaky economies, expanding global markets and changing conditions in the labor market. As technology and the market evolves, it creates opportunities for the savvy business to reduce costs while offering excellent customer service. The internet has enabled supply chains to go digital and opened up a vast array of opportunities. You can digitize important business and financial processes, and leverage real time business networks across various digital communities in a coordinated and intelligent way. The digitalization of supply chains allows you to collaborate with key participants across the organization, and in some cases (multi-party networks) with external trading partners across your entire supply chain. Unlike traditional point-to-point systems, digital networks enable a business to quickly connect to other companies on the network. These digital networks are similar to social networks like LinkedIn, and allow partners to communicate and collaborate with ease. One major benefit of going digital is the ability to collaborate with suppliers and other trading partners. A real time platform cuts down on the time to identify and rectify problems. All parties have real time visibility and can be alerted when something goes wrong. A surge in demand can be transmitted to all relevant parties on a digital network, and they can immediately begin to address it by shifting supply and expediting freight when necessary. 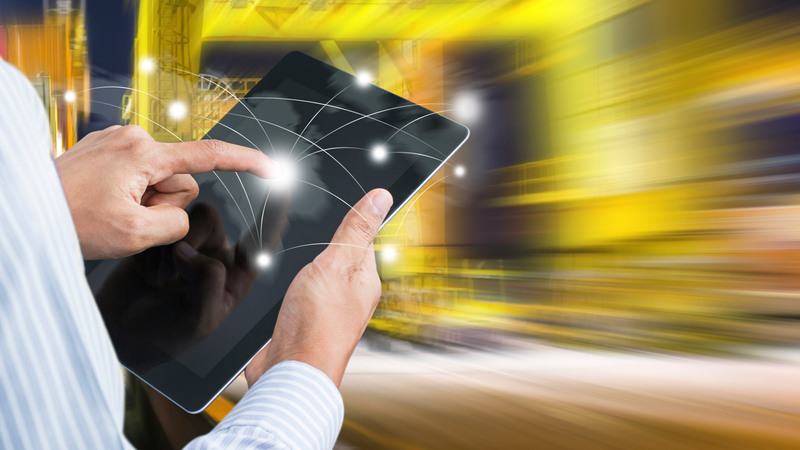 Digital networks can also provide services that automate processes between the supply chain participants, such as dock door scheduling, invoicing, orders, payment, etc. This can speed up transactions, reduce error, and dramatically improve productivity. Similar to a social network, a digital network facilitates new partnerships across the globe. You can connect with new partners and gain access to better services, more competitive prices, thereby improving the performance and efficiency of your supply chain. If recent history is anything to go by, we can expect an increase in oversight regulations in the transportation industry. One such regulation is the SOLAS container weight verification requirement. New technology such as truck scales can help alleviate much of the burden and streamline workflows. Because of their precision and ease of use, I expect up to 90% of manufacturers to incorporate truck scales and weighing scales in their processes. Big data offers enormous value but it can also be overwhelming. One solution is to outsource big data analysis to experts, gaining insights rapidly without a huge investment of time and money. When evaluating technology companies should look for platforms that support big data. Businesses today generate massive amounts of data, and it’s crucial that technology solutions can handle it. For example, retailers generate massive amounts of point-of-sale data on a daily basis, and need to track thousands of SKUs across multiple stocking locations in their supply networks. A technology platform should also provide analytics that serve up essential and actionable data in flexible and configurable dashboards. As business needs change, you need an easy way to sift and sort data, so you can highlight what matters and guide your business accordingly. IoT, or Internet of Things has the potential to revolutionize the logistics industry and various warehouse processes. You can connect the vehicles with your smart phones, electronic logging device and track drivers, transportation and other assets. Fleet optimization is an a good example of how IoT can be used to cut costs and improve the efficiency and utilization of a fleet of vehicles, whether ships, trucks, planes, drones or other equipment. One organization managed and optimized the use of their global fleet using an impressive array of information gathered from vehicle sensors. Each vehicle has over 100 sensors generating real time information on key performance factors of the vehicle and sub systems. One group of sensors generates current real time operating values, while another set of sensors measures deltas at high frequency time intervals for dimensions including temperature, pressure, vibration, velocity, acceleration, inclination, orientation, RPM, torque, fluid levels, tolerances, wear factors, GPS coordinates, etc. Among other things, this data was used to monitor the health of the vehicle, to schedule maintenance at the optimal time, and to minimize the down time of vehicles. IoT thus enables organizations to efficiently monitor fleet status, reduce fleet maintenance and operations costs, reduce the risk of failure and improve vehicle reliability. The uses of IoT are just beginning to be being explored, but the benefits are too obvious to ignore. These are just some of the trends underway, of course there are many more, from self-driving vehicles to drones and robotics. But the ones I’ve covered are well-established, ripe for adoption and can have an impact on your business now. What are you waiting for? Kevin Hill heads marketing and provides technical expertise to the sales and service teams at Quality Scales Unlimited in Byron, California. He enjoys everything mechanical and electronic, computers, the internet and spending time with family.